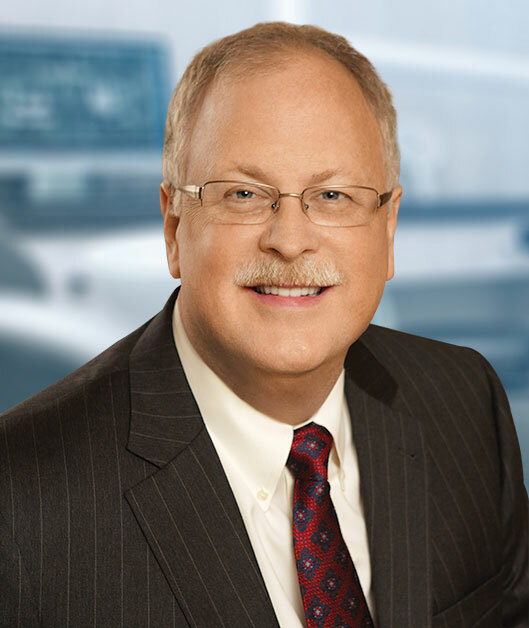 Optimizing Aesthetics and Predictability in the Placement of Posterior Composite Resin Restorations – Clinician's Choice Dental Products Inc. The term “universal” seems to be used frequently in the adhesion/composite resin materials world today. It has always been a struggle to find such a material that can adequately replace two very different types of tissues, namely enamel and dentin. Dentin is more opaque yet resilient, while enamel is more translucent and brittle. The other caveat is that in the anterior area, aesthetics is an important consideration in the “success” of a dental restoration whereas in the posterior region, functional stresses of occlusion demand a focus on the physical properties for longevity and durability with less a demand for “optimal” aesthetic layering. Advances in composite resin technology have been largely on the filler side – changes in particle size, particle shape, or filler type, to try and maximize the aesthetic potential of the material while maintaining the physical properties necessary to enable the material to withstand the stresses of masticatory forces in the oral environment. With Evanesce™ (Clinician’s Choice), the manufacturer reports an innovative process that optimizes the refractive index of its unique nano pigments and fillers and allows the material to “disappear” into tooth structure thus satisfying the demand for optimal aesthetics in the anterior region. It offers three different opacities so that when layered, it can more closely mimic the natural opacities of enamel and dentin. Most of the time, the universal shade alone can provide excellent shade blending with natural tooth structure. As far as physical properties, Evanesce is comparable to nanohybrids that have been designed for optimal wear in the posterior areas (Figure 1). 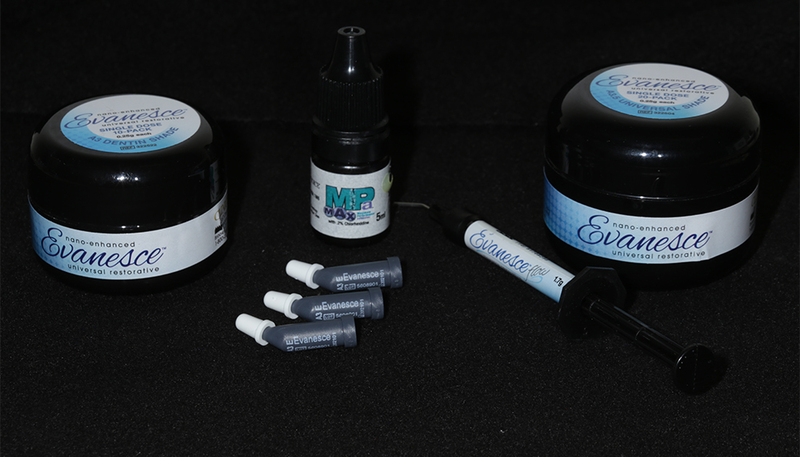 Figure 1: Evanesce Nano Enhanced Universal Restorative and MPa Total Etch Adhesive System is shown (Clinician’s Choice). Figure 2: DualForce Sectional Matrix System (Clinician’s Choice) is shown. Figure 3: A pre-operative occlusal view of a mandibular left quadrant. 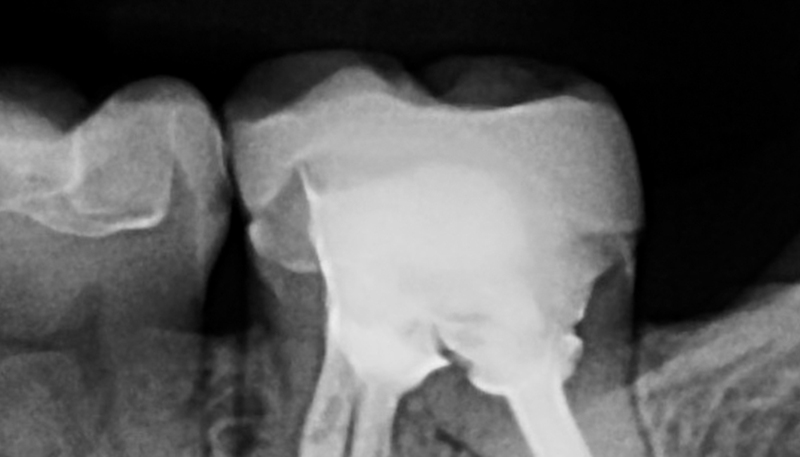 Figure 4: A caries detection x-ray (bite wing) shows a distal radiolucent lesion on tooth number 21 (34). 1) Concentric dual nickel titanium ring design increases separation force, allows the ring to be easily expanded for placement, and increases its resistance to breakage. 2) A unique independent prong design adapts intimately to most tooth shapes. 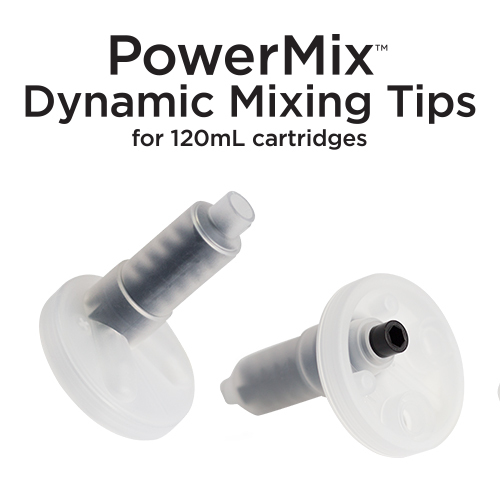 This is critical to making sure the matrix has the most precise fit to the preparation margins to avoid material excess (flash) at placement and reduce finishing time. The prongs are also “non-stick” so composite materials is easily cleaned off prior to sterilization. 3) The engagement angle of the rings when placed increases stability of the ring, reduces “pop-off”, and allows for clearance from rubber dam clamps and adjacent teeth to make for better access for instrumentation. 1) This anatomically designed wedge features a collapsible tip that rebounds when fully seated. 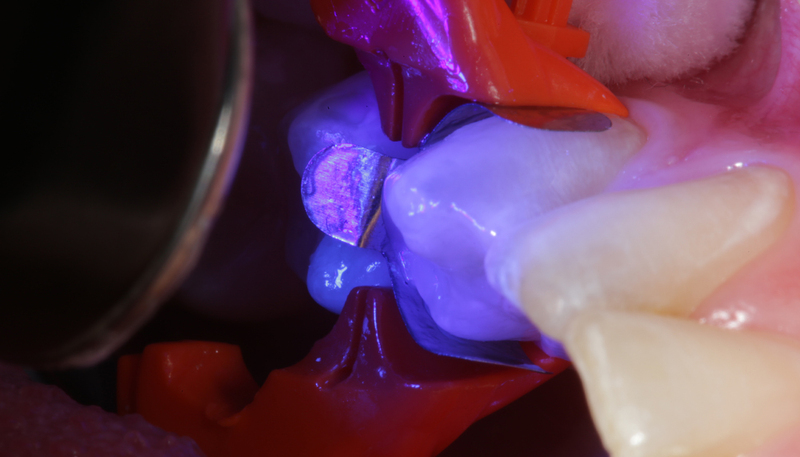 This unique shape will seal the matrix band against root concavities that frequently exist along gingival margins of Class II proximal boxes and are very hard to adequately seal with conventional matrix and wedge armamentarium. 2) The Active-Wedge is placed using a “suture placement technique”, sliding it through the gingival embrasure apical to the gingival margin of the preparation along the lower edge of the matrix. Due to its strong internal spine, DualForce Active-Wedges provide two pounds of separation force, which is more than adequate to seal the matrix band against the side of the tooth. 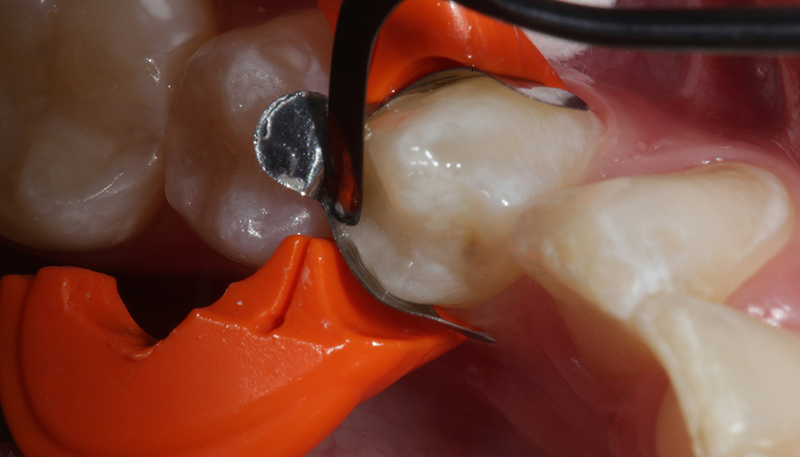 The ring will compress the periodontal ligament so that when the matrix band is visibly touching the adjacent proximal surface (with or without burnishing the band), DualForce Punch Pliers will be needed to remove the matrix when the procedure is complete. 3) The grip of the Active-Wedge is “ribbed”, so that a cotton plier will firmly hold the wedge while it is placed. The patient shown in Figure 3 presented with radiographic decay (Figures 4 and 5) on the distal surfaces of tooth numbers 19 (36) and 21 (34). After removal of the decay and creation of the cavity outline form, the operative area is isolated with an Isolite (Isolite Systems) in preparation for the restorative process (Figure 6). 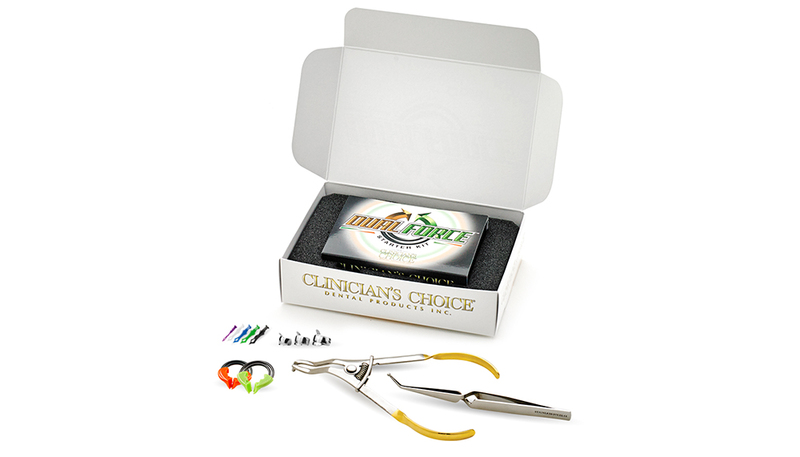 The DualForce Sectional Matrix System (Clinician’s Choice) will aid in the anatomic restoration of the distal proximal tooth morphology of the mandibular first premolar and molar teeth. The appropriate matrix band size is chosen which will best correspond anatomically to the tooth being restored and also, to the width and height of the proximal surface. The height of the sectional matrix should be no higher than the adjacent marginal ridge when properly placed. The tab on the matrix band is bent away from the preparation using an index finger to hold the band securely while the wedge is placed. This “tab” will also ensure that the height of the matrix band corresponds to the height of the adjacent marginal ridge so that the marginal ridge of the restoration will be located at the proper height. 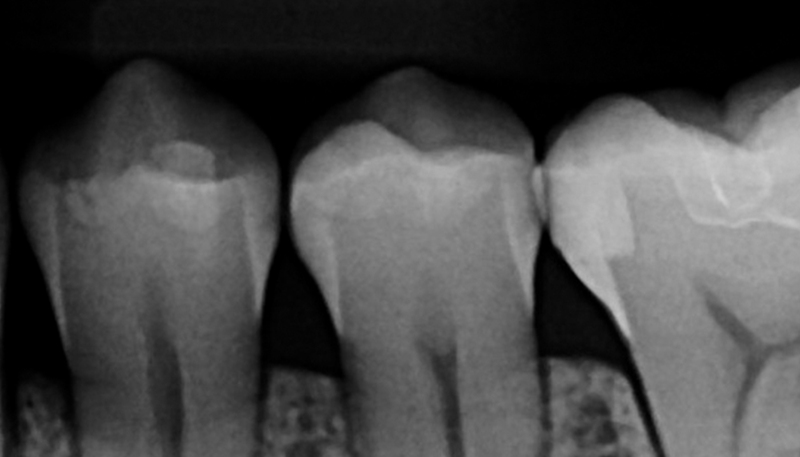 Figure 5: A caries detection x-ray (bite wing) shows a distal radiolucent lesion on tooth number 19 (36). 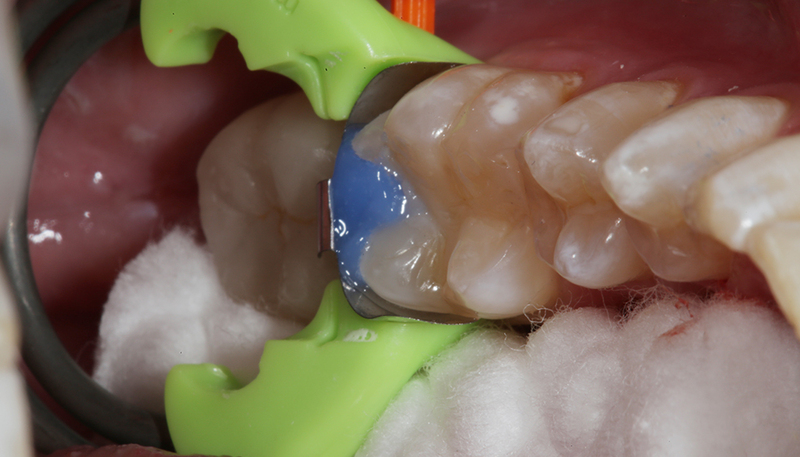 Figure 6: An occlusal view of the completed DO cavity preparations on tooth numbers 19 (36) and 21 (34). Figure 7: The sectional matrix (DualForce: Clinician’s Choice) is shown in place on tooth number 21 (34). 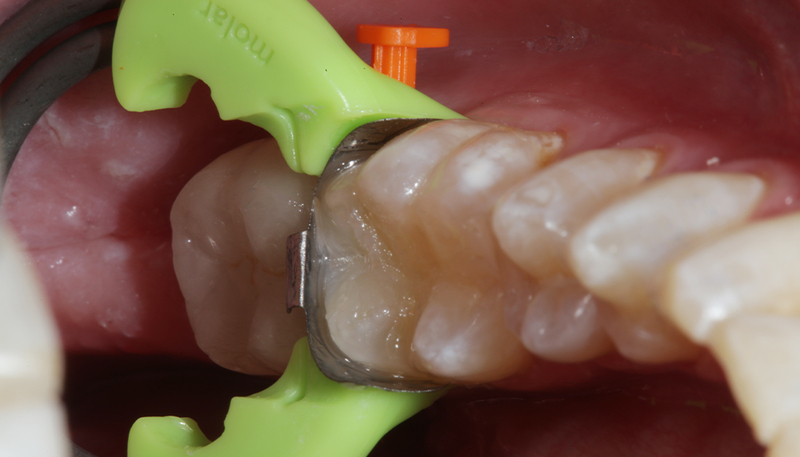 Note the precise gingival seal due to the DualForce Active-Wedge and the accuracy of the adaptation of the matrix to the vertical walls of the preparation that will help eliminate overhangs and excess after composite placement. Figure 8: Total etch with 37% phosphoric acid is performed for 15 seconds, then completely rinsed with water. Any excess remaining moisture is removed with the high-volume suction device (not the air syringe!) to avoid over desiccation and collapse of exposed collagen, which could lower the bond strength of the adhesive to the dentin. 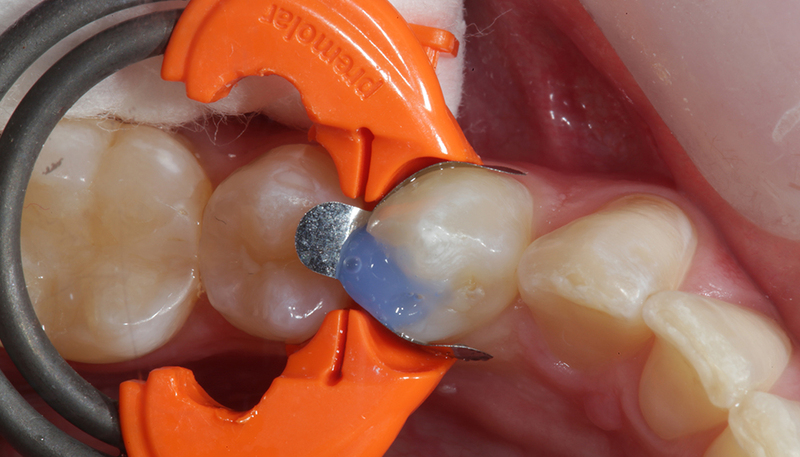 Figure 9: The bonding resin (MPa Max: Clinician’s Choice) is placed using a microbrush on all etched enamel and dentin surfaces. 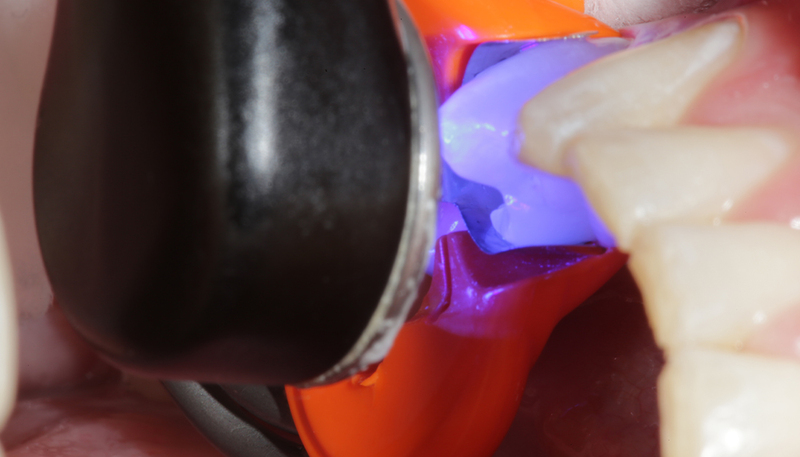 Figure 10: The adhesive is light cured for 20 seconds using an LED curing light (Valo Grand: Ultradent Products). 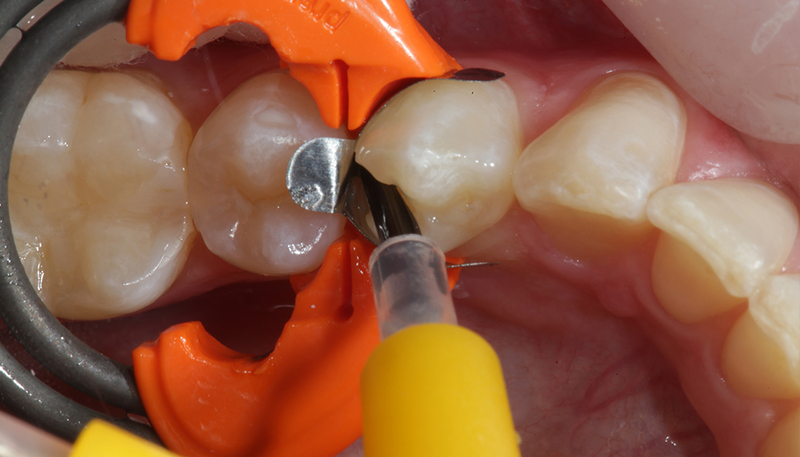 Figure 11: The first increment of composite, a flowable resin (Evanesce Flow: Clinician’s Choice) is placed into the preparation up to a depth of .5 millimeters to ensure accurate adaptation of the first increment of composite to the geometry of the cavity preparation. Figure 12: The increment of flowable resin is light cured. Because of the concave anatomic shape when applied, the proximal contact will be located approximately one millimeter apical to the height of the marginal ridge. Next, the gingival portion of the band is stabilized and sealed against the cavosurface margin of the preparation using the appropriate size DualForce Active-Wedge (Clinician’s Choice). The size of the wedge should be wide enough to hold the gingival portion of the matrix band sealed against the cavosurface of the preparation, while the opposite side of the wedge sits firmly against the adjacent tooth surface. 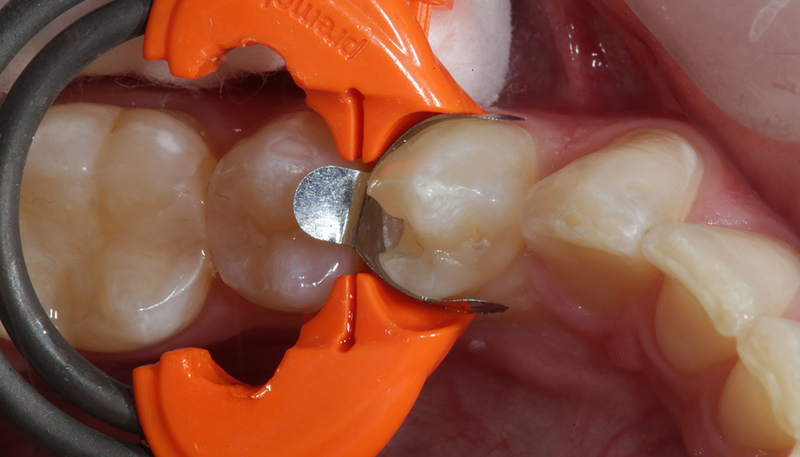 Once the DualForce matrix is properly wedged and ring placed, the restorative process for tooth number 21 (34) can be started (Figure 7). A fifteen second total etch protocol, 10 seconds on enamel margins and 5 seconds on dentin surfaces (Figure 5) is performed using a 37% phosphoric etchant (Figure 8). It is then rinsed off for a minimum of 15 to 20 seconds to ensure complete removal. The preparation is then air-dried and rewet with G5 desensitizer (Clinician’s Choice) to disinfect the cavity surface, create a moist surface for bonding, and begin initial penetration of HEMA into the dentinal tubules. 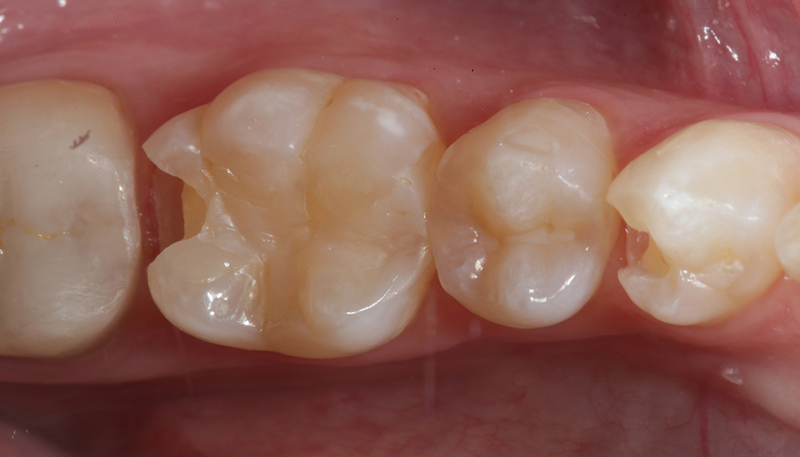 A total etch bonding agent (MPa Max: Clinician’s Choice) is then placed on all cavity surfaces (Figure 9). Chlorhexidine (0.2%) is included in MPa Max and will help inhibit the release of MMP’s (matrix metalloproteinases) from etched collagen that have been shown to weaken the dentin bond over time5. The solvent is evaporated by spraying a gentle stream of air across the surface of the preparation, while the adhesive is thinned until no rippling is seen. The adhesive is then light cured for 20 seconds (Valo Grand: Ultradent) (Figure 10). 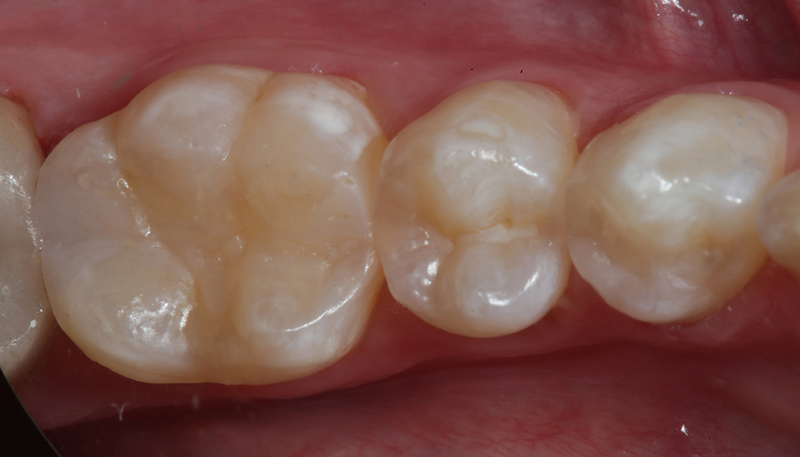 The first layer of composite is placed using a flowable composite (Evanesce Flow: Clinician’s Choice) to a thickness of about .5 millimeters (Figure 11). The flowable composite will “flow” into all the irregular areas of the preparation lessening the chance of creating voids between the adhesive and the first layer of composite and once cured, create an oxygen-inhibited layer to bond subsequent layers of composite material. Figure 13: The first increment of nano-enhanced composite (Evanesce: Clinician’s Choice) is placed using a composite placement instrument (Goldstein Flexithin Mini 4: HuFriedy). Figure 14: A 20-fluted carbide composite finishing bur (#9904: SS White) is used to adjust the occlusion prior to polishing the restoration. Figure 15: An A.S.A.P. pre-polisher (A.S.A.P. 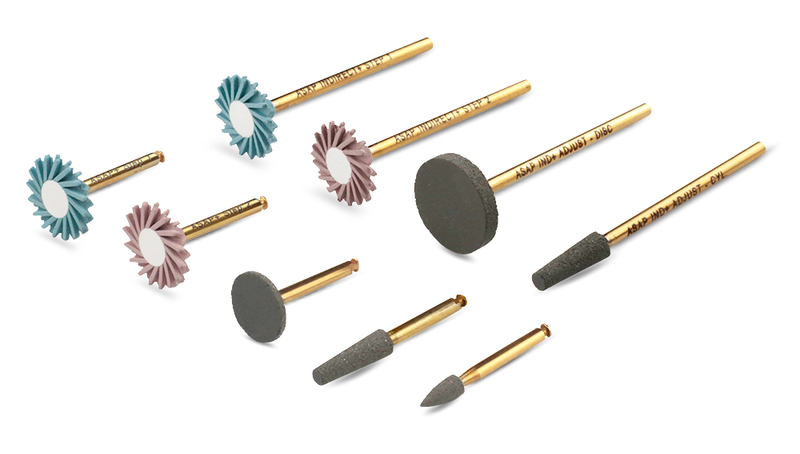 All Surface Access Polishers: Clinician’s Choice) is used followed by a final high shine polisher to impart a high luster surface to the composite material. Figure 16: The etching process is completed on tooth number 19 (36). After light curing for 20 seconds (Figure 12), the next step is to layer in the conventional type composite material. Using a unidose delivery, the first increment of composite resin (Evanesce: Clinician’s Choice) is placed into the proximal box of the preparation. 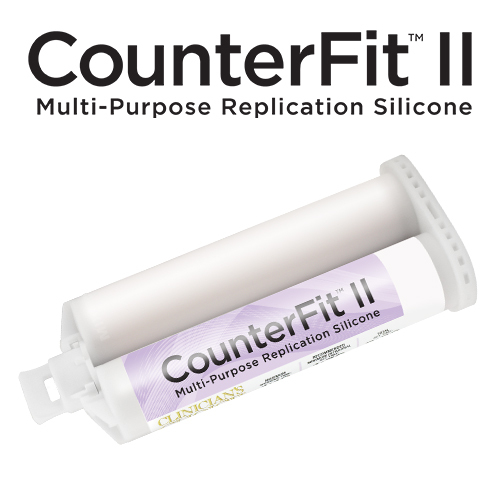 A smooth ended composite placement instrument (Goldstein Flexithin Mini 4: HuFriedy) is used to adapt the restorative material to the inside of the sectional matrix and preparation (Figure 13). Each increment of composite material should be no more than 2 millimeters thick. The buccal increment is placed into the facial portion of the preparation, including the facial portion of the marginal ridge. The cuspal projections are sculpted and the depressions between are created using the Flexithin Mini 4. 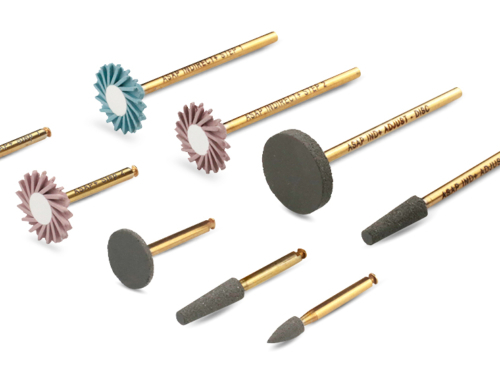 A #2 Flat Keystone brush (Patterson Dental) is lightly dipped in resin (MPa Max: Clinician’s Choice), dried thoroughly with a 2X2 sponge and used to feather the material toward the margins while smoothing the surface of the composite. 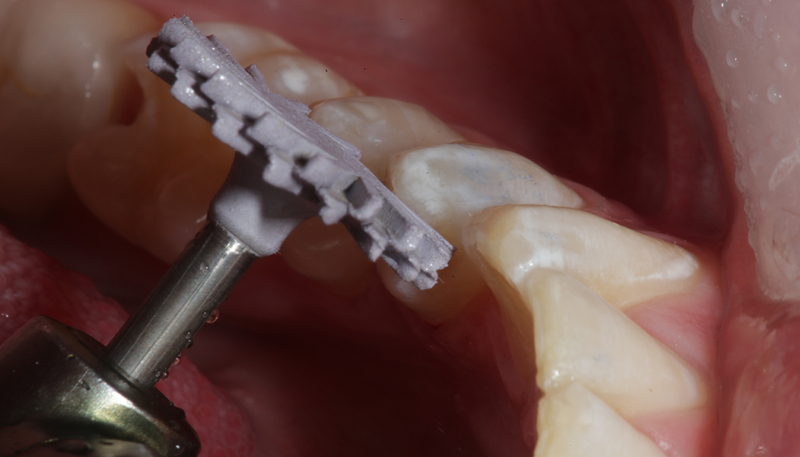 After fully light curing, occlusion is checked with articulation paper and adjusted, as needed using a thin 20-fluted carbide composite finishing bur (SS White) (Figure 14). When placing composite materials using the above described technique, very little finishing should be required except at the marginal areas. Rubber polishing abrasives (A.S.A.P. Polishers: Clinician’s Choice) are used to further polish the adjusted areas (Figure 15). 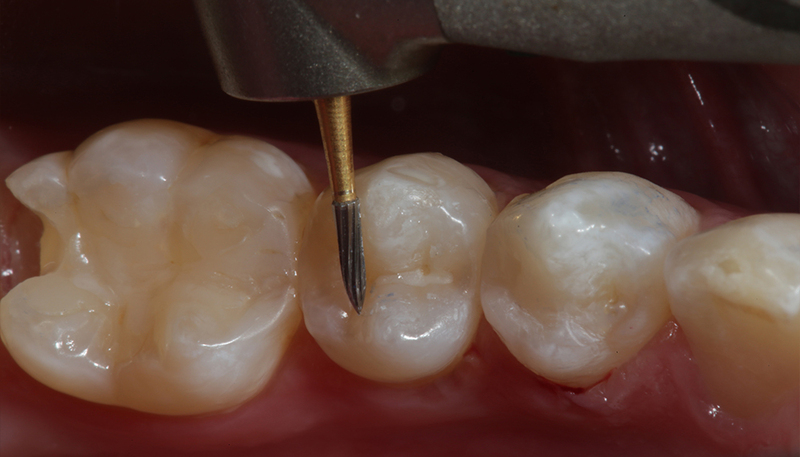 After a five-second etch of the restorative margins with 37% phosphoric acid, a surface sealant (Seal-N-Shine: Pulpdent) is placed with a microbrush, air thinned, and light cured for 20 seconds. Surface sealants help to seal any microscopic marginal imperfections that may remain after the finishing and polishing process. 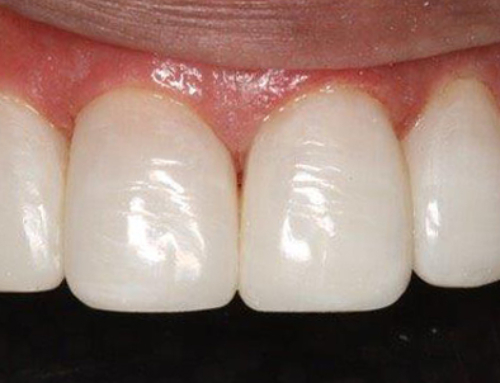 The same restorative steps are performed for tooth number 19 (36) (Figures 16 and 17). 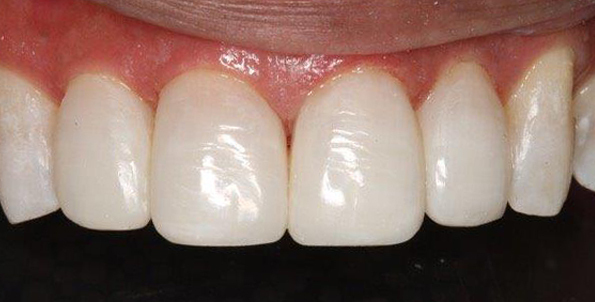 Figure 18 shows an occlusal view of the completed Class II composite restorations. 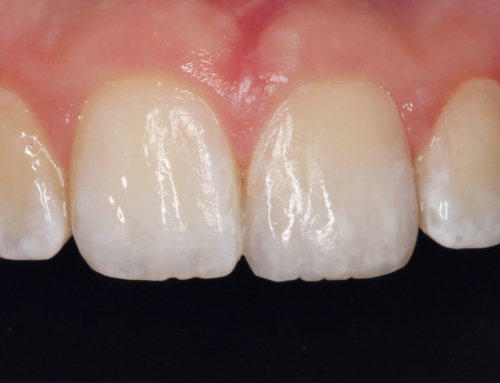 Notice the beautiful chameleon effect that is achieved using one shade of composite (Evanesce: Clinician’s Choice) and how well the restorative material blends with the adjacent tooth structure6,7. 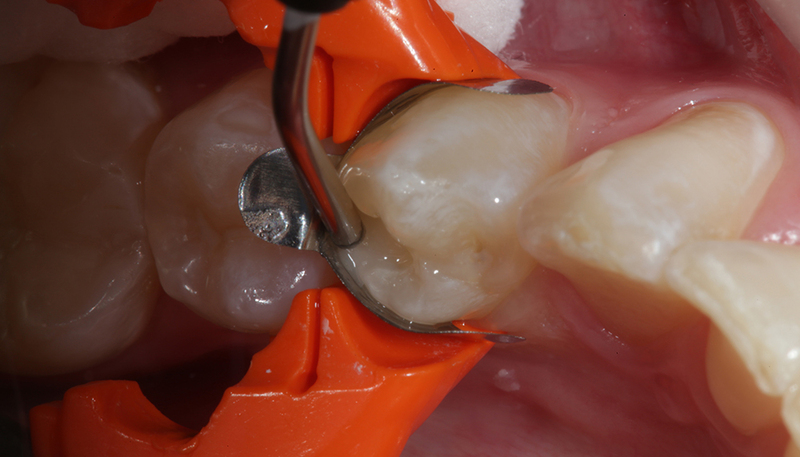 Figure 17: A view down the central groove of tooth number 19 (36) is shown after placement of the composite material in the proximal box portion of the cavity preparation. Note that the marginal ridge has a definite facial and lingual component separated by a secondary groove that emanates from the distal pit of the tooth. 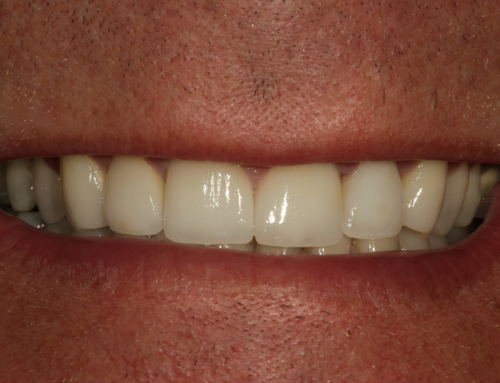 Figure 18: An occlusal view of the completed Class II DO posterior composite restorations on tooth numbers 19 (36) and 21 (34). Beautiful, anatomic restorations were placed using a nano enhanced composite material (Evanesce: Clinician’s Choice) that blends seamlessly with the natural tooth structure. 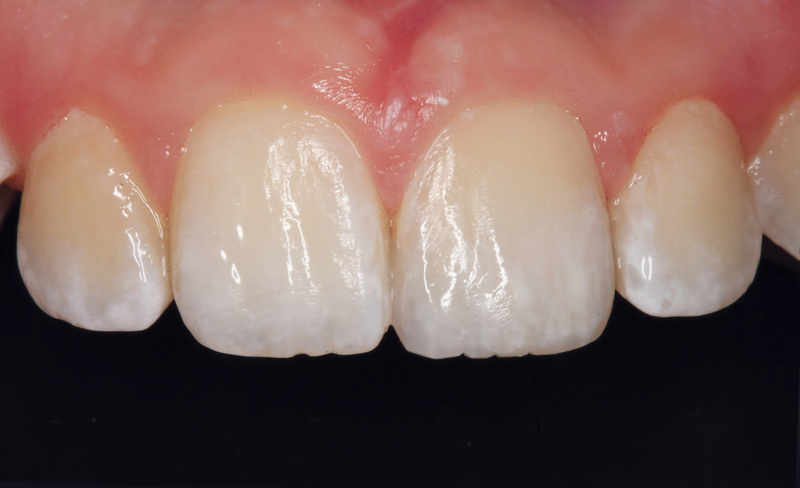 A technique has been described utilizing a sectional matrix system and associated armamentarium (DualForce: Clinician’s Choice) and a nano enhanced universal composite (Evanesce: Clinician’s Choice) to create anatomically precise Class II posterior composite restorations. The interproximal surface has also been recreated with natural anatomic contour and has a predictable, elliptical contact with the adjacent tooth. 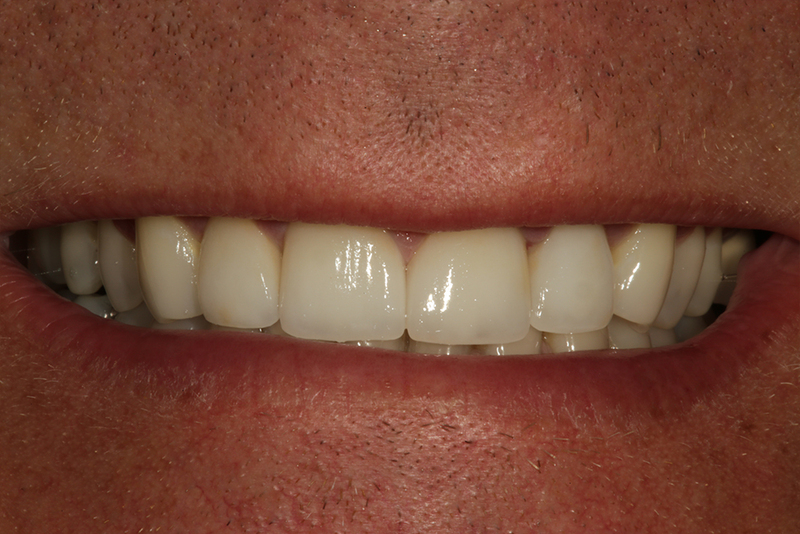 With proper occlusal and proximal form, this “invisible” direct composite restoration will service the patient for many years to come8. 1. 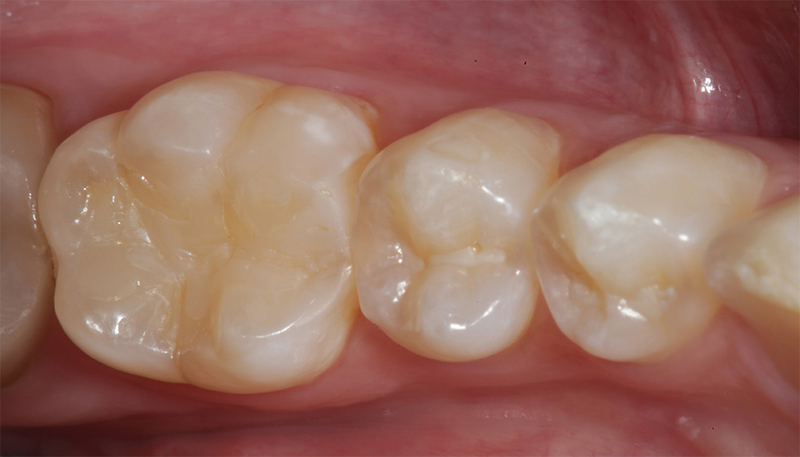 Christensen GJ, Remaining Challenges with Class II Resin-Based Composite Restorations, JADA, 2007 Nov;138(11):1487-9. 2. Boer WM, Simple Guidelines for Aesthetic Success With Composite Resin – Part 2: Posterior Restorations, Practical Procedures in Aesthetic Dentistry, 2007 May;19 (4): 243-7. 3. Shuman I, Excellence in Class II Direct Composite Restorations, Dent Today, 2007 Apr;26(4): 102, 104-5. 4. Brackett MG, Contreras S, Contreras R, Brackett WW, Restoration Of Proximal Contact In Direct Class II Composites, Oper Dent, 2006 Jan-Feb; 31(1): 155-6. 5. Pashley DH, Tay FR, Imazato S, How To Increase The Durability of Resin-Dentin Bonds, Compend Contin Educ Dent. 2011 Sep;32(7):60-4, 66. 6. Lopes GC, Vieira LC, Araujo E, Direct Composite Resin Restorations: A Review of Some Clinical Procedures To Achieve Predictable Results In Posterior Teeth, J Esthet Restor Dent, 2004; 16 (1): 19-31. 7. Lowe RA, Recreating Nature Using Today’s Composite Materials, Restorative Quarterly – A Supplement to the Compendium, Volume 3, Number 1, June 2000, pp. 3-10. 8. Lowe RA, Morphologic and Esthetic Precision In The Placement Of Class II Direct Composites, Contemporary Esthetics And Restorative Practice, Volume 8, Number 5, May 2004, pp.28-30.